On this day in 1990, Margaret Thatcher resigned as British Prime Minister. She was the longest running Prime Minister in British history nicknamed “The Iron Lady” due to her uncompromising strength and leadership style. As Britain’s first female in power, she visited many locations across the country. 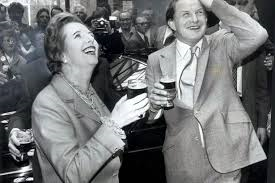 In 1982, she went to Robinson’s Brewery in Stockport and was given a personal tour by David Robinson. 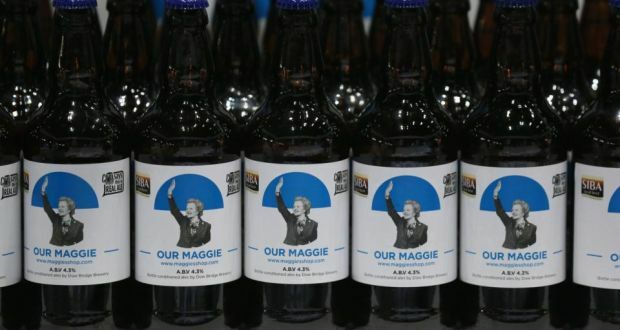 Like many politicians, it doesn’t hurt any by meeting the people in a brew pub or brewery and having a toast or two. It’s good game!